The central section of the Island is underlain by poorly drained soils and was once a matrix of open ponds, freshwater marsh, and forested wetlands. The central section of the island is underlain by poorly drained soils and was once a matrix of open ponds, freshwater marsh, and forested wetlands. These features are evident on historic maps and in written accounts. 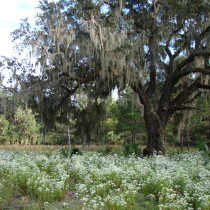 Jonathan Bryan, who visited the island in 1753, wrote: “…the middle of the island appears a perfect Meadow being a large Savanna of about a Mile or Mile and half wide and four or five Miles long, and finely water’d with Springs.” The abundance of freshwater was not limited to St. Catherines Island. Other sources mention the abundance of freshwater on the Georgia coast. The sources of these wetlands are springs fed from the Floridian aquifer. This aquifer is one of the most productive groundwater reservoirs in the United States. Lying only 50 to 150 meters below the surface, the artesian waters come to the surface through fractures in the overlying strata of clays and sands. Ditches established in the 1930s first drained these wetlands. More damaging is the current depletion of the Floridan aquifer by urban and industrial users. These regional withdrawals have decreased groundwater levels, lowered and eliminated ponds, increased land subsidence, and reduced or eliminated flow from springs. 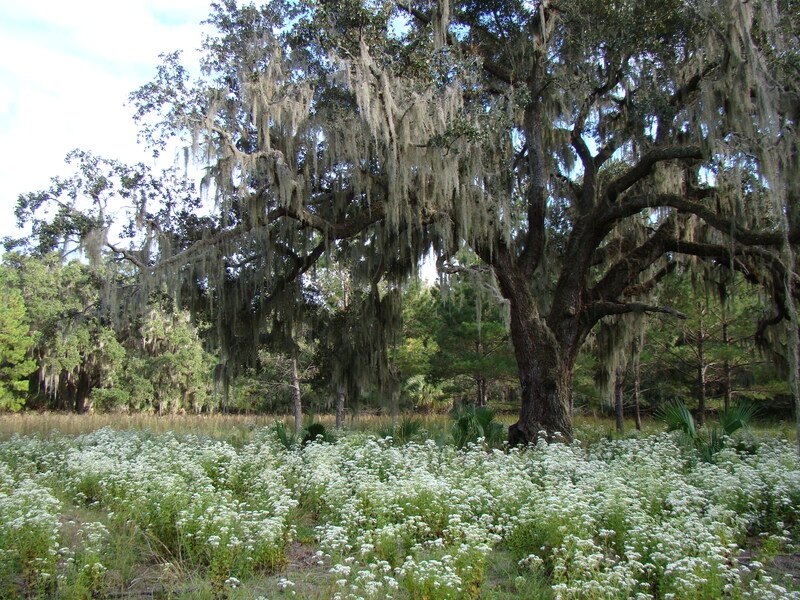 The change in the groundwater table has altered the vegetation to where these wetland areas are dominated by nonriverine swamp forest; early, mid and late successional loblolly pine forests, slash pine, and maritime live oak forests. Remnants of ponds — from when the groundwater was higher — are scattered in this system; some of which have been excavated and, using wells, filled with water. These are important sites for wood storks on the Island, as well as other colonial breeding birds. Reitz, E.J. et al. 2008. A brief natural history of St. Catherines Island, Chapter 5 in David H. Thomas, Native American Landscapes of St. Catherines Island, Georgia, I. The theoretical framework. American Museum of Natural History, Anthropological Papers, Number 88. Alkaff, H.F. 2001. Proceedings of the 2001 Georgia Water Resources Conference. University of Georgia, Athens, GA.